Allan Friedrich Philip Julius Heydorn was born on 28 October 1900 in Port Elizabeth. When he was twelve the family moved to Germany, where he attended the Gymnasium in Meisenheim and studied at the Technische Hochschule in Stuttgart. In 1927 he moved back to South Africa. Member of the South African Council of Arts and Science and a member of the SA Institute of Electrotechnical Engineers. He was married to Hanna, née Vollmer. They had one daughter and two sons: Gertrud, Allan and Dirk. 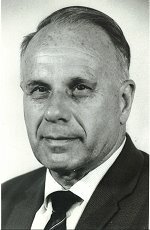 A. F. P. J. Heydorn died on 29 of May 1987.